It's that time again—time to recycle for the fourth fifth seventh year in a row (but for only the second third fifth time on this site!) the truth behind the "Earthquake Game", time again to try to justify that all-nighter at the library in 2007 and to make excuses for the writing that came from it. 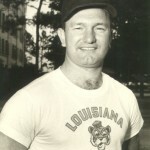 Time again to beat LSU. Time again. 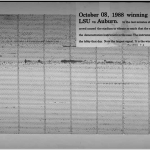 The 1988 Auburn-LSU game was the … [Read more...] about What really happened at the Auburn-LSU ‘Earthquake Game’? This could finally end it… oh my! My Dad was actually watching this game at a Buffalo Wild Wings. 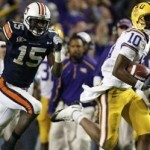 Even the Bama fans, he said, knew it was an interception. And that's saying something. … [Read more...] about This could finally end it… oh my!